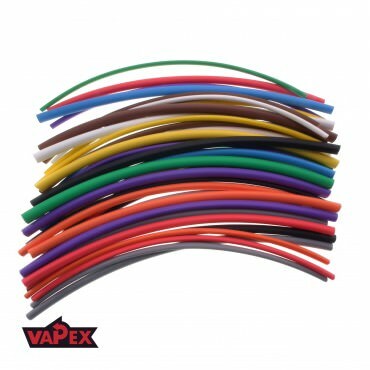 Kit Contains: One 200mm length in 2.4, 3.2, 4.8 & 6.3mm in each of the following colours: Black, Brown, Red, Orange, Yellow, Green, Blue, Purple, Grey & White. Total = 40 pieces, 8m total length. Polyethylene heat shrink flame retardant sleeves (tubes) for general use. Flexible single walls with shrinkage of 2:1 and low shrinkage temperature make them suitable for most electrical and mechanical insulation. They are also perfectly suitable for identification of cables, clamps, etc. High quality, cost-effective, commercial grade for electrical, electronic, automotive, and general industrial markets. 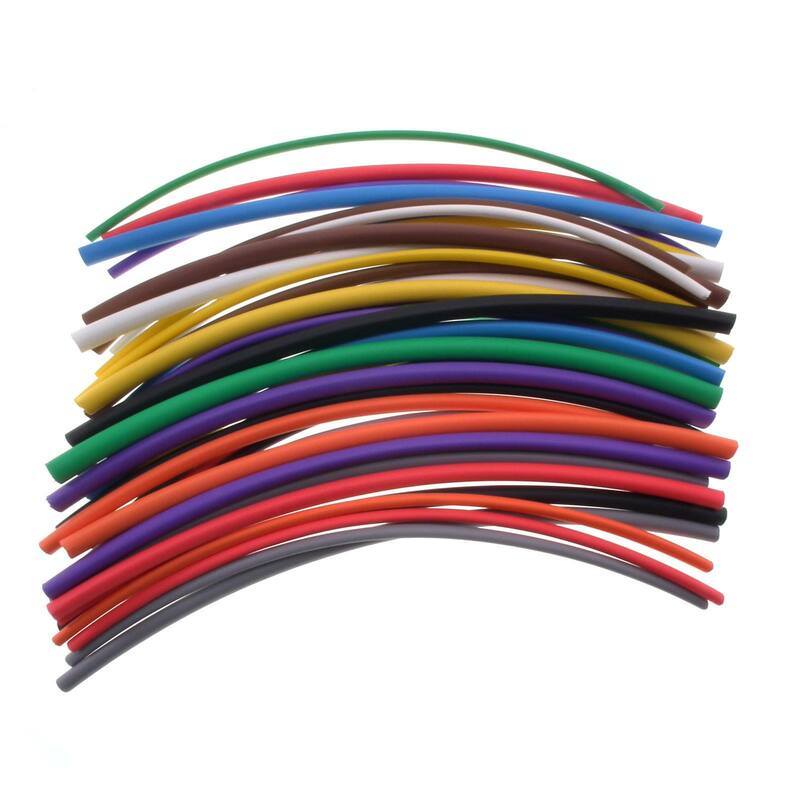 Applications include general insulation, mechanical protection and colour identification of wire, cables and harnesses, connectors, terminals and electronic and mechanical components. High strength and resilience. Approval UL 224 125°C 600V VW-1. RoHS Compliant.